What or Who Is A Ranger? 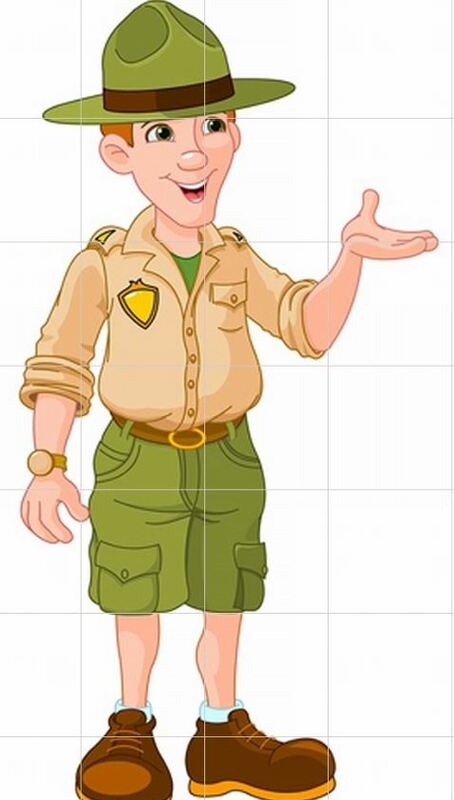 By general definition a park ranger is a person entrusted with protecting and preserving parklands – national, state, provincial, or local parks. “Parks” may be broadly defined by some systems in this context, and include protected culturally or historically important built environments, and is not limited to the natural environment. 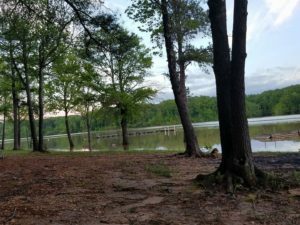 After looking into park rangers at the USACE parks, the Virginia State Parks and the NC State Recreation Areas, all on Kerr Lake our investigation ended up focused more on the latter. But first, definitions. Popular or general duties for a park ranger include but are not necessarily limited to, (1) preservation and protecting of their particularly defined resource, including the environment, the public and in most cases the wildlife; (2) interpretation and education; (3) historical significance (4) emergency response; (5) law enforcement; (6) outdoor scholar; (7) administration; (8) maintenance; (8) tourism and visitor information services and we can add many more items, but maybe one that doesn’t get included as much as it should, youth role model. At Kerr Lake, the park rangers for the U S Army Corps of Engineers parks still adhere closely to the aforementioned broad range of duties, with only a few designated as full law enforcement officers. 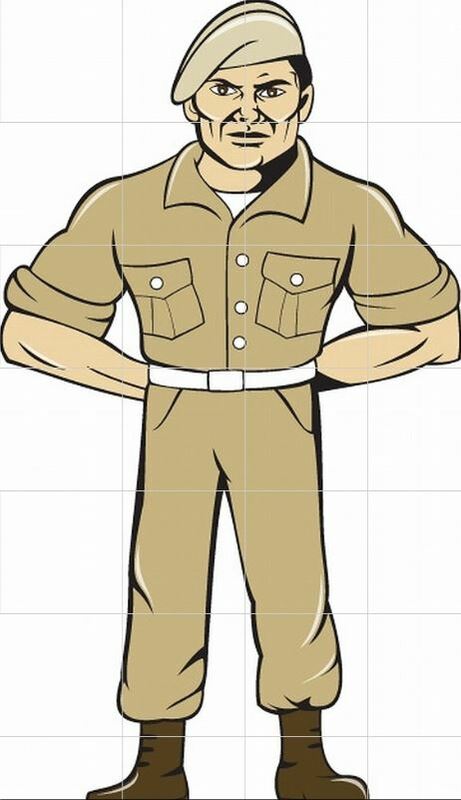 The rangers, including the Chief Ranger wear Federal badges and can issue citations. That may sound mild, but be assured those citations land accused violators in Federal court because those parks are on Federal land. Those arrested on the say so of Corps rangers are hauled before a magistrate or to jail by a full law enforcement officer. In Virginia, the two parks on Kerr Lake have law enforcement officers and there is no “split” in Virginia having parks versus recreation areas; they are all parks. Some current and former Virginia State Parks employees believe that the tilt of the park ranger job is going too far towards law enforcement and leaving behind the resource, the park’s other employees and the visiting public, or the full scope of ranger duties. One former employee told about going to a several-hour murder investigation seminar, and though recognizing that the teacher was indeed well qualified, the employee asked how Virginia park rangers could be expected to launch their own investigation into a murder on just that training and said given a murder in their park, the employee would call seasoned and experienced investigators from other agencies. Let’s then bring park ranger to the North Carolina State Parks and to the Division of State Parks which administers parks, under the recent department move from NC DENR to the North Carolina Department of Natural and Cultural Resources. Then comes the “split” between NC State Parks and NC State Recreation Areas like Kerr Lake, Falls Lake and Jordan Lake. The term “split” is used because, while there are some seasonal parks that visitors bombard with heavy visitation like Ft. Macon, Mount Mitchell, Grandfather Mountain and Chimney Rock, most parks have much lighter visitation than the recreation areas which offer waterfront day-use areas and campsites. Also, most of those visiting the high attendance parks are going for day-use purposes anyway, as opposed to Kerr Lake and the other Recreation Areas where day-use may be heavy, but overnight camping can run into the 1000’s. The rangers in those NC State Parks of lighter visitation have a wider range of duties, naturally because they are in a park environment and not that of a recreation area; huge, huge difference. Back in the 1980’s, admittedly, it was sometimes difficult to get timely law enforcement response to Kerr Lake and maybe even some other state parks and recreation areas. Remoteness played a part there, an issue that doesn’t exist as much due to improved communications, mutual aid and cooperation. It was also seen as a method to get more rangers and to be able to pay them a law enforcement supplement. The idea was that if they were park rangers and law enforcement officers that they would stay longer. We dare say, Kerr Lake turns over park rangers to a higher number and probably percentage than any other parks in the system. It just seems that a ranger will not stay for long at the Kerr Lake recreation areas. By bureaucratic nature the Office of State Personnel and the Division of State Parks started pushing rules and definitions of job functions more towards rangers being policemen than park rangers. A current reclassification by the Department of Human Resources (over the Office of State Personnel) has state employees all over North Carolina questioning whether they have been promoted or demoted, and that leaders and legislators is another whole can of worms we will leave closed at this point. In the 1960’s, 1970’s, 1980’s and most of the 1990’s park rangers at Kerr Lake realized several axioms: (1) people come to Kerr Lake because of the water, (2) all kinds of people come for weekends, and (3) families come to Kerr Lake for weekends and many come for their vacations. The park rangers of those decades and, as we said before, some into the 2000’s and only a few full park rangers currently, recognized or knew many of the high number of returning visitors and campers. Those rangers realized that they were viewed almost as innkeepers or to some as vacation resort managers. Esteemed Kerr Lake Recreation Area Chief Ranger Nathan Burwell told superiors he didn’t need a gun because he could enforce through respect, and if that did not work, he knew their families and he could get a problem fixed. What a testament to being a park ranger Burwell’s life and career was! Since the 1980’s when law enforcement was added to park ranger duties, most of the rangers at Kerr Lake adapted to becoming law enforcement officers, but the key is that well into the 2000’s those rangers kept their focus on the parks for which they were responsible and law enforcement was added to their mix of duties. 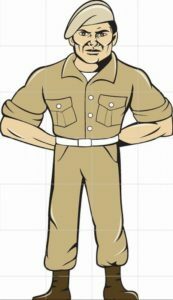 One might say there has been a slow transmutation in ranger habits, performance, duties and job functions that has left the public scratching its head, while frustrating other park employees who feel that rangers are set apart and above because of their law enforcement designation. It used to be at Kerr Lake that everyone worked as a team, helping one another. Whether it is due to park system administration or another complex, confusing set of rules from the Office of State Personnel, what has transpired is that while working in the same park, Kerr Lake State Recreation Areas specifically, the day to day job situation exist that one person in one job classification can not even suggest how a person of lower, equal or higher seniority might do their job better, or that they need to go and do for a particular task. The most tearful was to see in one of the parks that the friendly neighborhood racoons had visited a trash can, and after snacking they managed to scatter half a dozen pieces of trash. Keep in mind that although in the NC State Recreation Areas at Kerr Lake, that the trucks are all white, all with state park decals and a few with state ranger decals. Sometimes the public sees them as all the same. With that trash on the ground, two trucks passed that were decaled only. Two other trucks passed marked with decals and state ranger rolled by at a fast speed. When the fifth truck rolled up, the driver who was picking up the trash was asked about the others and that person stated that according to state rules he could not tell any of those parties to pick up the trash. That is a sad state. Kerr Lake Park Watch visited several of the recreation areas and asked 20 random visitors if they had seen and/or spoken to a ranger, given that their time spent in the parks also varied; most however, were camping. Of the 20 Kerr Lake visitors, only one had seen a ranger, who was flagged down to ask about the lake level, which has been a problem during the 30-day investigative period. Who told rangers at Kerr Lake that their only function is to ride through the parks? Why do they have to spend several hours a day at the Satterwhite Point office? They are never in this park. We think rangers are out of the parks entirely too much. The only thing the rangers are taught to focus on now is the shiny rim of a beer can. Don’t they know that a left-arm sunburn is dangerous. The only time we see rangers is them with their trucks facing each other and them talking. Who’s the ranger this month? The rangers ride through here so fast that if a bear was assaulting a coyote at a campsite, they wouldn’t see it. Kerr Lake Park Watch and the public thinks that in most of the NC State Recreation Areas, most, not all because there are still a few real park rangers, that the relationships between staff and visitor that used to be stellar, is at an all time low. To a large degree law enforcement being added to park rangers has dulled the relationship that has been traditional for generations to where whole families knew rangers who would visit and often come and eat at the visitors’ campsite or enjoy watermelon or homemade ice cream. The law enforcement mentality has ended all of that to the dismay of older adults and to the depravity of the youth, who certainly could use more of those good role models in their lives. We at Kerr Lake Park Watch, ask that the Division of State Parks and Recreation act to change and improve this situation. 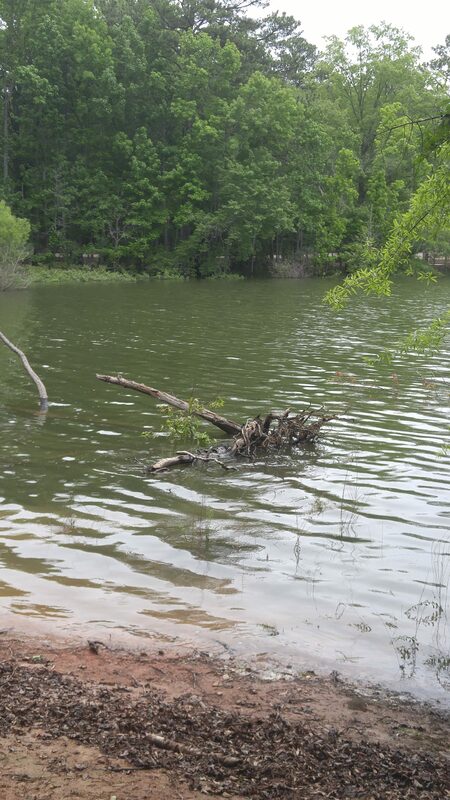 We are also asking the appropriate committees of the North Carolina General Assembly to investigate this and to provide the Division of State Parks any legislative assistance needed to correct and improve this segregated type of park service at Kerr Lake. Continued on this page are some more specific suggestions for implementing positive changes. Under the first definition of a park ranger, a person who will protect, promote and work in all facets of park service, Kerr Lake has only a very few left who are “old school” whereas the rest are focused on law enforcement. These old school rangers, even from other parks, need to be given duties to teach rangers who need to understand that being a ranger is not just riding a truck, toting a gun, writing tickets and working on a court calendar. That’s stuff for cops! Another answer is to not spend too much on programs and interpretative rangers at the Kerr Lake Recreation Areas because, as most bureaucratic types and government officials who do not understand the recreation area versus park dilemma, the greatest majority of people go to Kerr Lake because they want to be near, in or on the water. Ask someone with a family, and they will tell you they’d like their rangers to be in their respective parks at Kerr Lake. So, a solution for that is to find out why rangers spend several hours a day, most every day at the Satterwhite Point office. Solve just that one problem with some policy changes and that family and all others will feel safer. Regarding the many comments that rangers at Kerr Lake think that their only function is to ride through the parks, policy changes should be affected that maybe the rangers post changes in site reservations, parking their trucks in a particular loop or section and walking around thus given the opportunity to speak to and to get to know campers. Against many objections including ours, eight entrance booths were built at the seven Kerr Lake State Recreation Areas at a cost of approximately $250,000 each, yes, that’s a quarter of a million dollars. Those buildings sit unoccupied and unmanned most of the time. The entrance booths or entry stations are where the offices for park rangers need to be established. Each entry station has a phone, computer, office furniture, restrooms, and heat or cooling and are situated so that no one can enter or leave the park without being observed. Utilization of these entry stations would keep rangers in their respective parks. That assumes that Kerr Lake State Recreation Areas need to keep rangers at all. Kerr Lake Park Watch members observed, in that same cumulative 30-day period, a deputy patrolling at least every other day, and even an occasional highway patrolman. The Division of State Parks needs to take a bold, a specific look at law enforcement at Kerr Lake versus the parks, and if need be, do a separate policy break from other parks. Precedent is already established as some rules now apply differently to state parks and state recreation areas. Or maybe the question should be asked, with focuses only on law enforcement, should we have rangers at the State Recreation Areas? 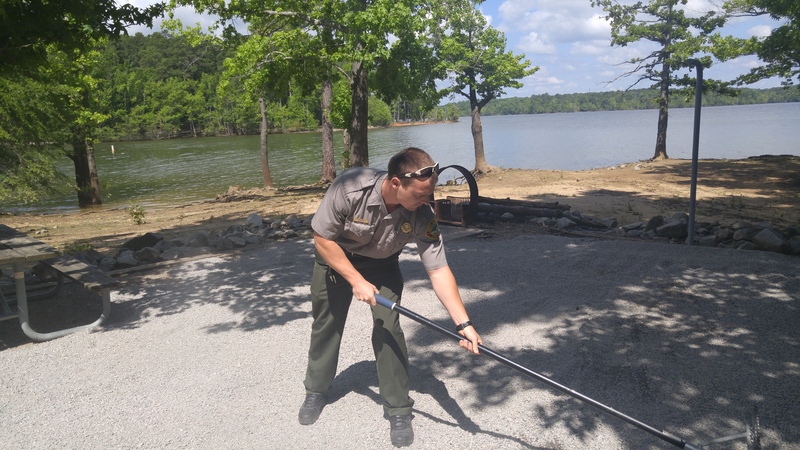 While we are providing possible personnel solutions specifically for the Kerr Lake State Recreation Areas that will better serve the public, here is another somewhat related issue to park rangers, but more specifically targeting maintenance people. Because of the way that the administration of the Division of State Parks has been changed by the addition of law enforcement, good, well-trained and extraordinarily knowledgeable park employees outside the ranger job classification and specifically in maintenance cannot climb the personnel ladder and are prohibited from promotion to a position such as a superintendent of a park, a regional superintendent or higher promotion. At Kerr Lake Park Watch, we feel this is blatant discrimination and may violate the civil liberties and/or the civil rights of these employees. We ask that either the Division of State Parks amend, change or abolish this current policy and if not, we ask members of the General Assembly to do so, as this discrimination will be challenged at some point, and wisely so. All eggs are not scrambled or boiled or fried. The mandate comes from the customer and the cook prepares them from that mandate. The NC Division of State Parks needs to back up and take a fresh look at the State Recreation Areas, specifically Kerr Lake’s seven parks and break out. As always, we at Kerr Lake Park Watch extend our hands and our support if we can work together to make some or all these solutions come about. We suggest that the administration leave Raleigh and get out to talk with the park-using public and employees. The people who have been visiting Kerr Lake over the long Memorial Day weekend and who did not have their plans canceled or dampened by a daunting 308.68-foot Kerr Lake flooded level, that’s over eight and a half feet over full pool, are trickling out of the campgrounds, boat ramps and day-use areas. Forecasts say that the people will be replaced instead, with more rain. The lake is much lower now in preparation for this week’s rains, 305.25 feet today at noon. That’s not much consolation to the 1000’s who were turned away from many public parks on the lake with low-lying public areas beginning late last week. Kerr Lake Park Watch tried to encourage the US Army Corps of Engineers to release water from Kerr earlier and with more release volume, but the releases came too late to save a lot of the camping extended weekend for park users. Now comes the cleanup and that’s no small task. 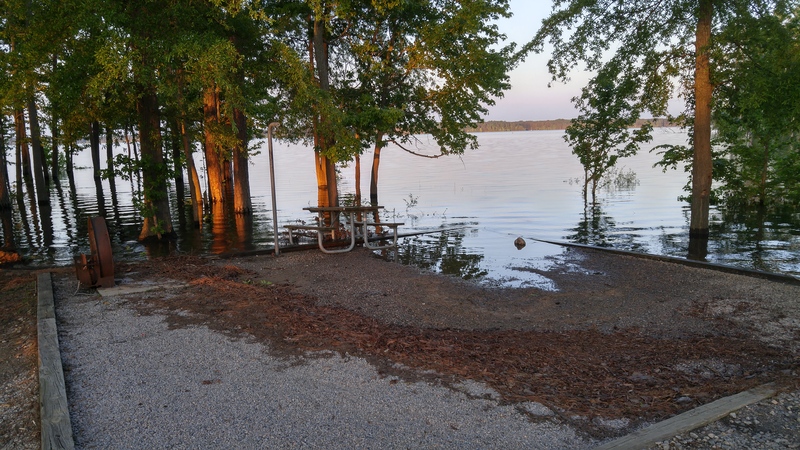 People who use Virginia, North Carolina or US Army Corps of Engineers’ parks during high water and those who had to cancel plans because of high water, generally don’t think about the aftermath. Believe us when we say that the maintenance crews all around Kerr Lake were scurrying this morning before 8:00 AM. First, there’s a general washup of trash, leaves and all kinds of debris left on the various flood rings as the water level recedes. That’s one job and a large one. 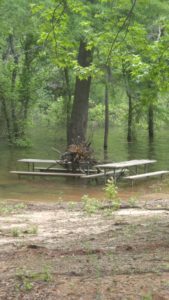 Secondly, large limbs and trees are resting where they’re not supposed to be, on roads, in campsites, in picnic areas, even on picnic tables. 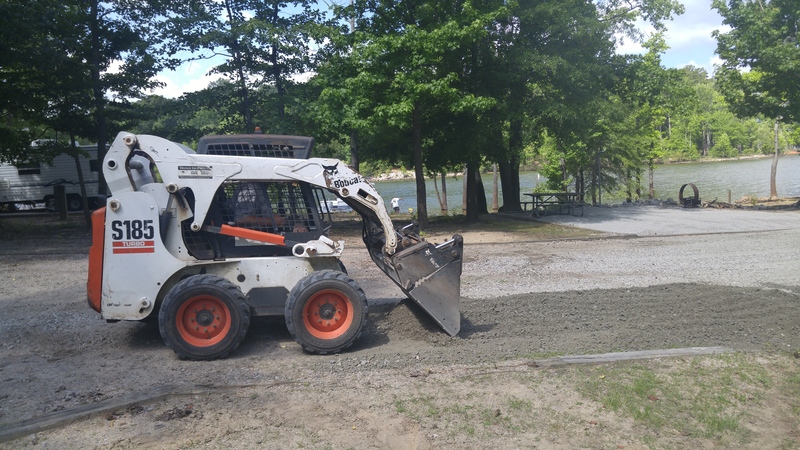 We saw several different crews mobilized in several different parks with Bobcats, backhoes, tractors, plus shovels and rakes, all cleaning up from Kerr’s high-water weekend. Thirdly, electrical boxes, power and water must be restored to the specific areas that were under water, which is considerable at any level over 306 feet above sea level. Meanwhile, park office phones have subsided with floods of calls about cancellations. We asked approximately 20 campers who had to be moved in various parks if Reserve America notified them and they responded, all of them with a “no,” that they were notified by their respective park service. That process probably continues as canceled Memorial Day weekend park visitors will either get refunds or their camping times rescheduled. 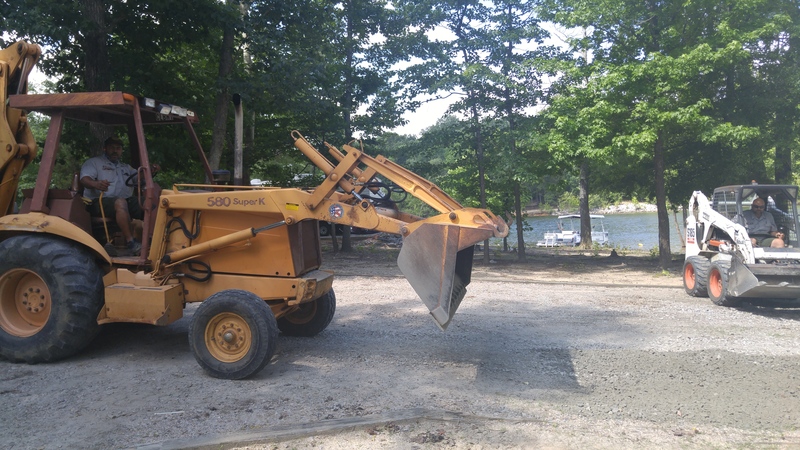 For those of us who come to Kerr Lake for whatever recreational purpose, we see our value-added coming from the maintenance people, whom we regard as contributing the most to the camping experience. With Kerr Lake and her floods, storms, winds and whatever else she can hurl at park workers and the public, we think all maintenance and park care-takers should take a bow. The next time you are in a Kerr Lake park, you should stop one and thank them. SPRING IS HERE & CAMPING IS HERE OR JUST AROUND THE CORNER! Spring has sprung and camping season at Kerr Lake has begun and we at Kerr Lake Park Watch want to update on park openings. Although there are some year-round sections that are open during the winter in some of the campgrounds around Kerr Lake, most of them open around Spring. Heltman added that the new Splash Park at Occoneechee State Park in Clarksville will open when the weather warms but an exact date is not yet known. The US Army Corps of Engineers operates several parks that offer camping as well as a number of day-use areas. The campgrounds include North Bend Park, Rudd’s Creek, Longwood Park, and Buffalo Landing. While there is no readily available list of campground opening and closing dates, there is a recreational link on the USACE website that gives some park information and contact info. That link is: http://www.saw.usace.army.mil/Missions/Recreation.aspx. The weather is the major player in enjoying all these parks and campgrounds around Kerr Lake. So watch it, watch for it and plan accordingly. With regards to getting out on the waters of Kerr Lake, please remember this, LIFE JACKETS WORN, NOBODY MOURNS! To all of the 580+ members of Kerr Lake Park Watch and on behalf of them, we who operate Kerr Lake Park Watch wish you a wonderful camping and park season! The water went up the first of May to 313 ft and down, then to 311 ft and down, then to 307.5 ft in June (above sea level, normal is 300 ft) and now it’s back close to normal. NC Parks maintenance crews at Kerr have pulled the electric boxes on campsites, put them back, pulled them again and so on…three times this Spring. NC Maintenance Head Chris Curl, describing how pushed he, his crew and others have been, simply said, “Rolling.” Office staff at Kerr spent their time and overtime answering calls from campers wanting to know if they could come to their campsite or was it flooded; park staff also called out. Reserve America, which takes $3 a night for reservations failed miserably to call campers during the three episodes, but they kept the money (another story, another time). Campers calling Reserve America often were told that RA didn’t know the status of the flooding..
Kerr Lake Park Watch last August gave NC State Park officials from Raleigh a tour of all seven parks and Steele Creek Marina. That effort, having the brass see all the nooks and crannies, is helping. Firewood boxes and recycling bins are showing up and so is both campsite driveway gravel and fine gravel for picnic/tent pads. Frank Timberlake, Lead Public Affairs for Kerr Lake Park Watch, got the see crews firsthand spreading the welcome refurbishment to some popular sites. Pictured below is maintenance crew member Gary Quinitchette bringing gravel on the backhoe, west side maintenance lead John Abbott, Jr. spreading gravel with the Bobcat and a little fine-tuning raking from new ranger Kyle Whitson. 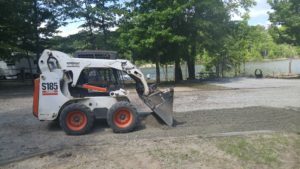 “No other state parks crews, maybe some of the mountains come close, but no other group has to contend with the high water, the low water, up and down, pull electric boxes, put them back, the wind and the wrath of Kerr Lake, plus all the regular maintenance and operational duties,” said Timberlake. “I’ll put these guys and gals up against any other team in the state! 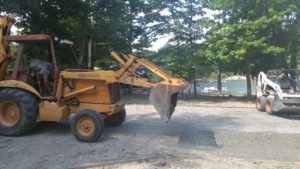 Sure, we have wants, needs and problems at the seven recreation areas, but these maintenance and ops people do a heck of job with what they’re given! I thank them every chance I get and you should do so, “concluded Timberlake. Timberlake and the rest of the Kerr Lake Park Watch leadership are eagerly awaiting from Raleigh the results of the recent needs and improvements survey. They plan to form a definitive improvements list after seeing survey results. IT’S SPRING & THAT MEANS KERR LAKE RISES – FOR UPDATES VISIT OUR FACEBOOK PAGE. Here we were almost showing up in the drought column in Piedmont North Carolina and Southside Virginia, then came the rains. It’s Spring and especially during April, the showers that bring the flowers usually show up. Kerr Lake is now over 306.5 feet above MSL (Mean Sea Level – 300′ is normal full pool) and rising, expecting to crest between 309 and 310 feet. 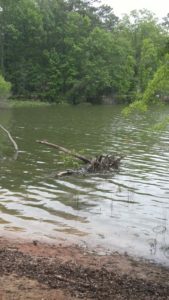 A number of U S Army Corps of Engineers and North Carolina State Recreation Areas are either closed or partially closed due to the high waters. We have had no information out of DCR or the Virginia State Parks. We are currently posting information about parks and public use areas on Kerr Lake as the information is provided to us. 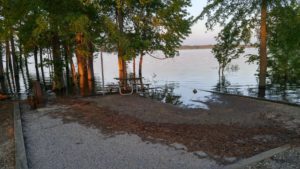 As the list of boat ramps and campsites inundated by water is constantly changing we will continue to post that information on our Facebook page which you can find at www.facebook.com/kerrlakeparkwatch. If you have camping reservations from now through the weekend, Kerr Lake Park Watch suggests that you contact the reservation system for the public park entity as individual state and federal rangers may not have the latest information. Kerr Lake Park Watch has asked the U S Army Corps of Engineers if the QRR Plan (Quasi-Run-of-River) adopted last year will hasten the departure of the flood waters. In the final analysis, Kerr Lake is a reservoir, not a lake. And this, well, it’s April and the showers. You know that story.